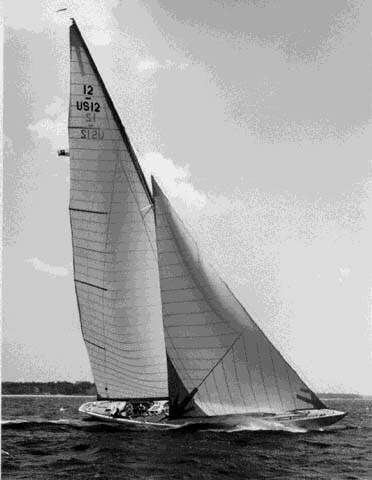 1938 – 1942: Frederick T. Bedford – name: Nyala – home port: Southport, CT (USA). The history of the Nyala dates back to 1938, when the North-American Frederick T. Bedford, president of Standard Oil Corporation, decided to give his daughter a yacht in order to celebrate her wedding with Briggs Cunningham, an important sea captain. 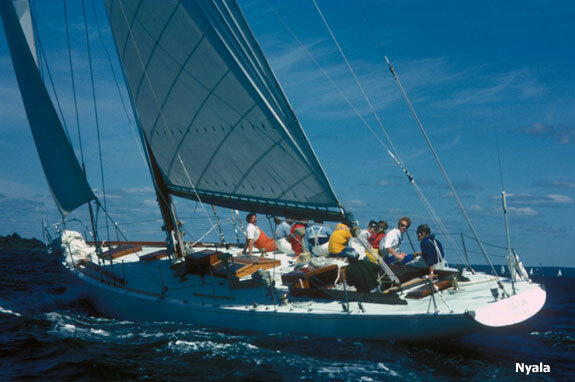 It was the first 12 meter vessel designed by Olin Stephens, and from the beginning she was a very fast boat, who eventually won two races in the year of her birth and achieved great marks in different competitions the following years. Throughout her career she has been involved in various misfortunes. In 1947, due to a sudden storm while competing in the Mackinak race, her aluminum mast had to be replaced by another Mouette wood mast. Years later, in 1960, she was wrecked on the rocks of City Island during the Donna hurricane. After that, she had to be restored and she suffered several structural changes: the stern was changed and the mast was transferred. She is currently sailing through European seas with great vigor. Her latest achievement was winning the 2008 World Championship of Classic Boats in Flensburg.